After entering the "Preparing for Shipment" stage on Thursday, the first wave of MacBook Pros with Touch Bars have begun shipping to customers for delivery next week. While Apple is quoting Wednesday, November 16 as the estimated delivery date, UPS is telling some customers that they can expect their new MacBooks on Monday, November 14. 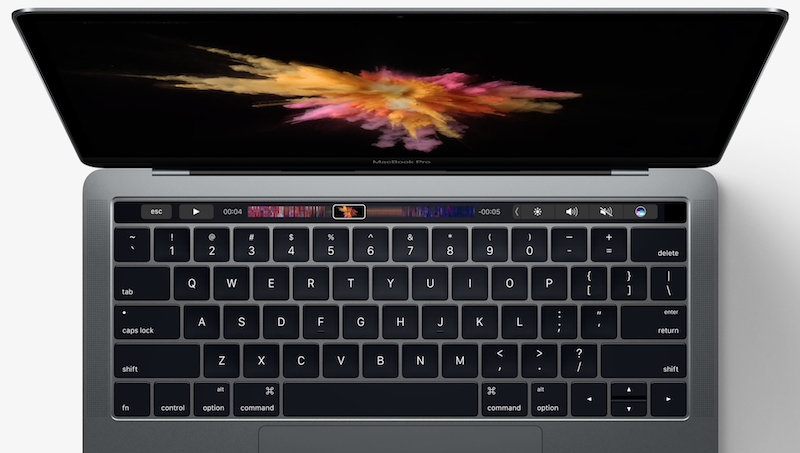 When the Touch Bar MacBook Pros became available for pre-order on October 27 customers received shipping estimates ranging from November 17 to November 25, making UPS' delivery estimates a couple of days earlier than expected. Thus far, the majority of the MacBook Pros that have begun shipping have been 15-inch models and custom orders, according to MacRumors readers who have notified us of their shipping status. Many 13-inch MacBook Pro with Touch Bar orders still haven't shipped, according to MacRumors readers. It's unclear when these models will begin shipping, but it could happen shortly after the 15-inch and custom-ordered MacBook Pros begin their transit. The new MacBook Pros sold out quickly, with shipping estimates moving from 2 to 3 weeks to 3 to 4 weeks hours after they went on sale. Current shipping estimates are 4 to 5 weeks. Apple's Phil Schiller said that the company has received more online orders for the new MacBook Pro than any previous model. Slice Intelligence sales estimates suggest the new model has already outsold all competing laptops in 2016. The 13-inch MacBook Pro with Touch Bar starts at $1,799 while the 15-inch MacBook Pro with Touch Bar starts at $2,399. Those interested in tracking their orders and discussing their configurations and shipping status can join our dedicated MacBook Pro pre-order shipping thread. Update: Users are now reporting significant numbers of 13-inch models also shipping. Why are these things always reported for every new Apple product? Is this really newsworthy? Slow news day? Stop the presses....Apple is shipping it's new item to customers. "I care about this news so little that I must comment on it!" I'll say it's lot better than reading emoji articles. I'd say it's more relevant than your comment. At least it gives us insight into the supply chain and alludes to the likelihood that you will be able to try them in every Apple Store soon. Yes, it is newsworthy, on a site whose stated purpose is to publish every single interesting bit of new information about Apple and their products. Did you arrive here by accident? The first person to make a Touch Bar Pac Man cartoon wins everything. STOP MOANING!!! Life is short! LIVE IT!